Hey gals am back with another mask review. Everytime I use these masks I feel heavenly and at the same time am taken aback by the advancements in skincare. 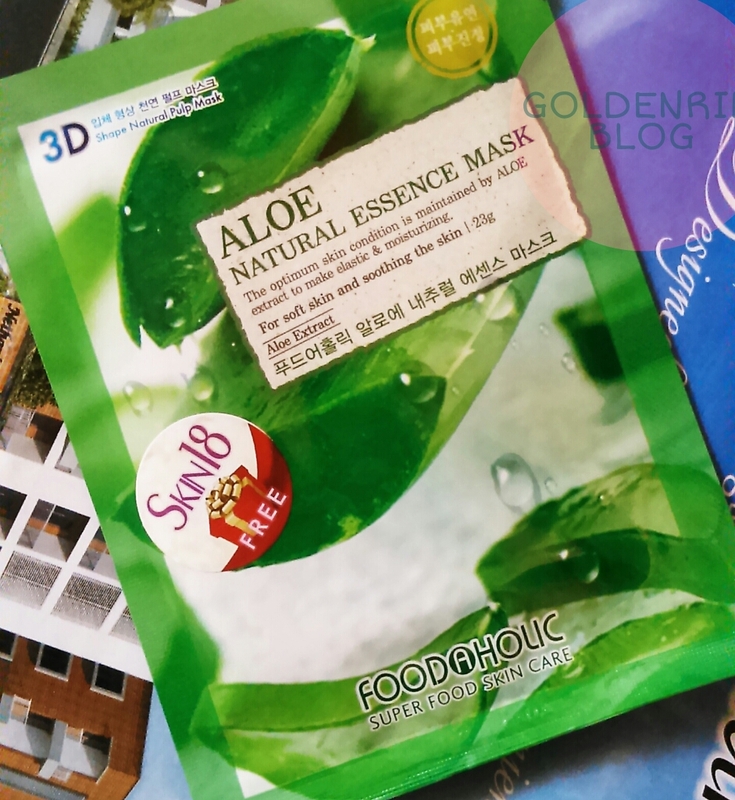 The Foodaholic Aloe Natural Essence Mask is very promising and delivers for what it is designed. Read the review to know more. The mask packaging is very travel friendly and sleek. The mask fits quite okay as we need a few folds here and there. Firstly I would like to tell that the mask has abundant essence, so much so that it was dripping from face at the chin. I somehow managed a few minutes and then wiped the excess with cotton. The essence of this mask is very thick as compared to the Four Season masks. The essence smells exactly of fresh aloe gel and the thick consistency made me more think of that. The essence gets absorbed easily. After removing the mask I let the essence dry up on my face. I rinsed the essence once it dried up as I felt like I had put on a gel mask. Post application the skin feels fresh, smooth, silly and soft. The mask gives a subtle temporary glow which lasts around 1 hour. I really liked this face mask as compared to the Four Season Series because of the thick essence. Price and Shelf life - $1.50 and only expiry date is provided. Recommendation - I would totally recommend Foodaholic Aloe Natural Essence Mask as it is truly food for skin. It directly provides the skin much needed nourishment via the essence. A must try if you are Korean skincare fan.